“Did you ever use performance-enhancing drugs?”, was the very first question that Oprah Winfrey asked of Lance Armstrong in the much-hyped, much anticipated “world exclusive” interview broadcast here on Friday and Saturday evening. “Yes”, was the simple, one word answer from the former seven-time champion of the Tour de France. And with that, the air was let out. Thirteen years of denial, attack, litigation, slander, witness intimidation and lying, supposedly washed away with a single word answer, as Lance Armstrong finally confirmed the overwhelming evidence of doping throughout his career. The Lance Armstrong story is so complex and convoluted that it would take weeks to get through all the reasons why a simple apology will not be sufficient. However, I must address some of the key issues around Armstrong, to understand why all is not as it seems, even now. Armstrong repeatedly says, as do his supporters, that he was merely a victim of the sport. That he inherited a culture of doping, that it was impossible to win the Tour without doping, and that he did not do anything that his rivals were not doing. In his view, he was not cheating, because everyone else was too. This is a bizarre moral relativism, and a false one, because there is no such thing as a level playing field when it comes to doping. This is an ethical and physiological fallacy. For one thing, drugs affect people differently, as anyone who has ever taken headache tablets knows. Scientifically, some individuals gain much, much more from doping than others, and in fact, teams used to look for these individuals as part of their “scouting” process – if you had a certain blood profile, you were more valuable because you had a larger improvement waiting for you once you got onto a doping programme. Drugs don’t make sport equal, they do the exact opposite. Ethically, it’s even more incorrect to argue that “they’re all doing it”. For one thing, if everyone is robbing banks, should we let the most ruthless bank robber, who hurts the most people and leaves the greatest destruction to steal the most money get away with it, because he’s really good at it and others are doing it too? For another, you have to understand that Armstrong was not merely a doper – he elevated doping to a level that the sport had not seen, and he did with intimidatory tactics off the bike. He was the most brazen, ruthless and intimidating bank robber of them all. Where Armstrong was correct in his interview was that in the 90s and 2000s, it was physiologically impossible to win the Tour de France without doping. It’s speculated within science that drugs improve performance by between 5% and 10%, and that’s an advantage too large for any genetic ability or dedicated training to overcome. In cycling, if you were a winner, you were a doper. A sad reality, and one that Armstrong took to mean that he should dope better than anyone else, such was the desire to win, whatever the price, mostly to others. Most people who followed the sport of cycling closely knew this, and so for them, the last week has not been revelation as much as it has been vindication. Personally, the realization of doping came when I analyzed the performances of the top riders in the Tour – it was not possible to maintain the power outputs of a Tour champion without some “unnatural” assistance. The numbers simply did not add up. Added to this was the slow drip of testimony against Armstrong – team-mates, staff, journalists, and cycling insiders. They could not ALL be bitter, jealous liars, so soon it became obvious that if you believed in Lance Armstrong, it’s because you wanted to believe. The willful suspension of disbelief among journalists and general followers fuelled the Nike-assembled marketing machine, and an icon was created. But here was more than enough to see the truth a long time ago. Armstrong, and the sport, had a doping problem. However, this is not the same as saying that “Armstrong was just like the other riders”. The other riders took drugs, yes, but they did not intimidate media, fellow riders, and witnesses into silence. Armstrong helped force the retirement of at least two fellow riders who dared to speak out about doping. Not HIS doping, mind you, but doping in general. Lance Armstrong was so vindictive that he would not tolerate anti-doping talk or questions. Journalists were labeled as “fu#%ing trolls, blacklisted for suggesting doping, or even for being seen in the company of journalists who did. The media thus had to choose to seek the truth and be marginalized, or join the Armstrong camp and contribute to the growing deception. Unfortunately, most took the latter option. Lance Armstrong stood against anti-doping, and bullied those who stood for it. There could be no concept of anti-doping as long as Lance Armstrong was the “patron” of the peloton. Other cyclists may have doped, but they did not force team-mates to dope, threatening their livelihoods unless they did. In Armstrong’s world, you doped or you were unemployed, according to the testimony of his own team-mates, though he denied this in the Oprah interview. More on that later. Other cyclists may have doped, but they did not attack and pursue the media and any witnesses with the litigious zeal that Armstrong showed. On Oprah, he confessed to having sued so many people that he could not even remember that he had sued his former masseuse, Emma O’Reilly. She was not alone – Armstrong would set his highly paid legal team of hounds loose on anyone who dared threaten the empire, even though he knew they were telling the truth. Hit them hard and early, and they’ll go away – Armstrong only once went to court, such was the success of his power and posturing. And finally, other cyclists may have doped, but they did not create empires off their fraudulently obtained success. Armstrong was so brazen that he appeared in a Nike advertisement taunting those who suggested he was “on” anything other than his bike. He amassed a fortune, standing for honest survivorship, his own determination, discipline and abilities. He toured the world as a highly paid international speaker, where his core message was overcoming odds. He built a foundation, whose good works should not be undermined by his dishonesty, but should also be contextualized as being part of a massive fraud, in which he effectively exploited a disease to make money for himself (in amongst the good, there is more than a hint of financial impropriety from those who’ve investigated his Livestrong foundation, most notably the blurred line between the non-profit charity and Armstrong’s corporate empire), and build immunity in the form of a “cancer shield” against doping accusations. Implicit in it all was that he was riding his reputation as a survivor, as a miracle, and he never let on that the real “miracle” was circulating in his bloodstream. It was fraud, smokescreens and mirrors, and done so brazenly, given the growing skepticism within cycling about his doping. No, Lance Armstrong was not the same. Tyler Hamilton, Floyd Landis, disgraced as they were for their own doping crimes, were victims of the culture. Lance Armstrong created that culture, the Godfather of a new era of doping in cycling. Not to mention that with Lance Armstrong, doping was elevated to a higher form of cheating. He had exclusive rights to the least moral, most notorious doping doctor in the sport, Dr Michele Ferrari. No rival could use his services, only Lance and his team, who had to work for him. Lance also reported to authorities the doping of his rivals, and Tyler Hamilton and Floyd Landis’ accounts that Lance tipped off authorities about doping makes you realize that Armstrong didn’t only cheat, he also cheated at cheating. Lance Armstrong got favours from the sport’s governing bodies. Payments in the range of $125 000 to the UCI, offered to ‘support anti-doping’ but which conveniently occurred around the time of an alleged failed drug test at the Tour of Switzerland, suggest a degree of complicity from above that is yet to be fully uncovered. Tip-offs about testing, as well as hints on how to beat the tests were reportedly given to Armstrong, such was his influence at the top levels of cycling. The president of the UCI at the time, Hein Verbruggen, was in business with Lance Armstrong’s team owner and friend, Thom Weisel, and Armstrong had the kind of first-name relationship with those who were supposed to enforce the rules that you typically see between business colleagues. Such a relationship was appropriate, because Armstrong was good for cycling, and cycling needed Armstrong, particularly as it emerged from the 1998 doping scandals, and into the era or “renewal” that Armstrong rode. Armstrong was immune – when he said on Oprah that he felt invincible, it’s because he was. His story and character were so large that the sport could not bring him down, and in the end, it was only his own personality that did. His relationship fall-outs continued, and he left a trail of burned bridges behind him. Eventually, one of them would tell, and it was Floyd Landis, who Armstrong shunned and locked out, who blew the truth wide open with emails send to US doping officials. The rest, as they say is history. But it is still revisionist history, and Armstrong is still attempting to write his own story. In the interview with Oprah, Armstrong attempted to walk a very narrow line between trying to win sympathy and apologize to his fans and those he has hurt, and trying to avoid the numerous legal pitfalls along the way. As a consequence, there were a number of clumsy half-truths, and dare I say it, continued lies, in the Oprah interview. The first of those, which will almost certainly come up again, is that he denied offering a $250 000 donation to USADA. This is an obvious conflict of interest, and USADA declined his “donation”, but both the current and former CEOs of that anti-doping agency have said it happened. Armstrong denied it. Then again, he has to deny this, because he currently faces a $150 million lawsuit with the US Department of Justice, and if he admits to offering money to the authorities, whatever its purpose (a donation, not a bribe), it may worsen his predicament in that case. Similarly, he had to deny that he had forced or told his team-mates to dope, because that same lawsuit would increase its focus on his role in doping within the team – if he was the instigator of doping within the team, then a big part of the fraud falls squarely on his shoulders, so he deflected those accusations and effectively called his team-mates liars for their sworn statements to USADA. Third, Armstrong tried to assert that the last time that he doped was 2005, and that he was clean during his 2009/2010 comeback. He even went to great lengths to back this up, using his ex-wife Kristin as his explanation. Apparently, he sought her permission to return to the sport, and she allowed it on condition that he did not dope. He promised her he wouldn’t, and therefore, we are meant to believe that he did not dope. The only problem is that there’s more than enough circumstantial evidence and some compelling hard evidence to say that he DID dope in his comeback. First, he continued his working relationship with the doping doctor Ferrari, and records of substantial payments to Ferrari were obtained by USADA. Secondly, the entire support team was the same, including Johan Bruyneel as the manager, which was a condition of Armstrong’s return. Leopards do not change their spots, and Bruyneel is at the head of cycling’s most toxic people list, something that will still emerge in his legal case and potential book. And third, Armstrong’s blood data have been made available, and strongly suggest doping. In fact, one of the world’s leading authorities stated that there is a one in a million chance that Armstrong’s blood is not the result of doping. In the 2009 Tour, Armstrong’s blood showed highly suspicious changes, strongly suggestive of a blood transfusion midway through, as well as EPO use before and during the race. So why would Armstrong deny the doping in his comeback, when USADA’s report is fairly strongly suggestive that he did dope? Well, he wants to compete again, and his best hope is to reduce his ban to eight years. If he argues that he stopped doping in 2005, then an eight year ban would take him to 2013, and he would be eligible to compete this year. In contrast, a 2010 doping offence, as USADA have ruled, means he would only compete in 2018, another five years from now. Of course, he is currently banned for life. Not only for doping, it must be emphasized, but for the conspiracy to dope. Which again comes back to the thing that made Armstrong different – he didn’t just swallow pills or inject liquids or his own blood, like his rivals and team-mates did. He WAS the system. Finally, Armstrong ruined so many people. He attacked their livelihood, he bugged their phones, he left threatening messages, had people followed, sued them, labeled them whores, liars, crazy (but never “fat” – in perhaps the most astonishing insight into Armstrong’s character, he denied calling Betsy Andreu fat. Oprah was near speechless). Armstrong used power to build the lie and a huge fortune, and while he has reportedly contacted a few of these people to apologize, he couldn’t bring himself to offer up direct apologies or to sincerely acknowledge those people in the Oprah interview. Oprah even had to press him on an apology to David Walsh, but she didn’t press him nearly enough of his attitude towards those who dared to challenge the legend. And now, in just over two hours, he wants forgiveness, because in his words, he “deserves” the chance to compete again. Perhaps it is only the first step, and given that he has lived for over a decade denying and lying, one might reasonably expect the revelation of the truth to be a clumsy and painful process. Armstrong may well move on from here to provide information to authorities, under oath, explaining exactly HOW he doped, not only that he did. If he does this, and if his testimony is detailed enough to bring down an empire of corrupt officials who helped him dope, then the sport will be better off for it and I would concede that he was done enough to warrant, perhaps, a reduction in his ban to eight years. But only if the truth comes out. What we saw on Oprah was a stage-managed, manipulative attempt by Armstrong to continue to control the narrative by dealing in half-truths and the occasional denial. He has done it all his life, of course, and so there should be little surprise that his confession is being run from the same controlling playbook. He is attempting to ‘rise again’, to borrow one of Oprah’s final questions, this time as a survivor of doping and scandal, in the same way that he survived cancer fifteen years ago. His apprearance on Oprah, whether one believe him to be sincere or not, is nowhere near enough to earn forgiveness or another chance. If he goes on from there, and genuinely repairs some of the damage he has caused by telling the WHOLE TRUTH, then the situation may change. Until then, Lance Armstrong’s worst fear is anonymity, perhaps even more than the loss of his fortune and empire. To disappear may be worse than prison, and perhaps it’s time he gets exactly that. 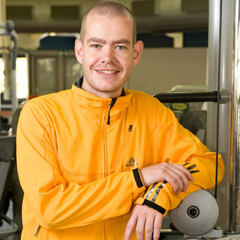 Dr Ross Tucker is a Research Associate at the UCT/MRC Research Unit for Exercise Science and Sports Medicine, focusing on Human Performance in Extreme Environments. Ross has a website "The Science of Sport" where he comments regularly on these and other science-related issues.